Arris is one of those companies that you've never heard of if you're not in the TV industry, and indeed, they're one of those companies that you might not have heard of even if you are in the industry. With products like the CHP Max Headend Optics Platform, you get the drift. But it's a company worth £1.7bn and it's just punched above its weight and bought The Motorola Set Top Box business from Google. Now, Motorola used to be a mainstream provider of boxes before TV service providers realised that anemic mobile chip based units were not the way to go. 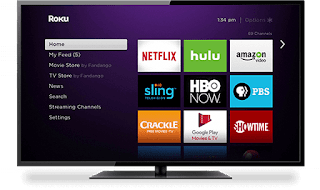 The middle market for TV technology is an increasingly tough place to be, and much of the technology that comes with the deal belongs to yesterday: set top boxes will live on it screens and tablets and increasingly become a redundant part of the TV supply chain. What signifies the industry is a lot of profit taking on long established deals as they are wound into the ground, but this is no platform for building a TV supply chain in the cloud. Another bidder was UK based STB manufacturer Pace, who were right to walk away from this deal.